Baked Vegan Falafel - GetCooking! Thrive Market’s – Baked Vegan Falafel Recipe recipe. Make falafel the star of your next meal! Serve in pita sandwiches stuffed with cucumber, tomatoes, and hummus, or on a salad with crisp lettuce, mint, yogurt, and a drizzle of harissa. Our falafel is rich in protein from chickpeas and almond flour, and tahini is loaded with B vitamins, calcium, and zinc. We’d love to hear your feedback on this video recipe format in the comments section below! If you used this video to make Baked Vegan Falafel Recipe, please tell us how it went! 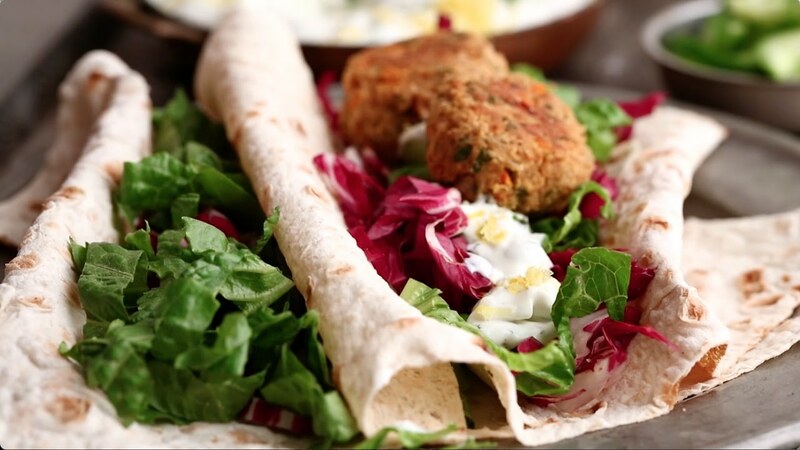 View the original recipe notes here: Thrive Market’s – Baked Vegan Falafel Recipe.